I hope you are all doing well? I have really been working hard on this years Christmas Gift Guides and I have some spectacular goodies to share with you. I thought I would kick things off today with something for the skincare junkies and beauty lovers in our lives. 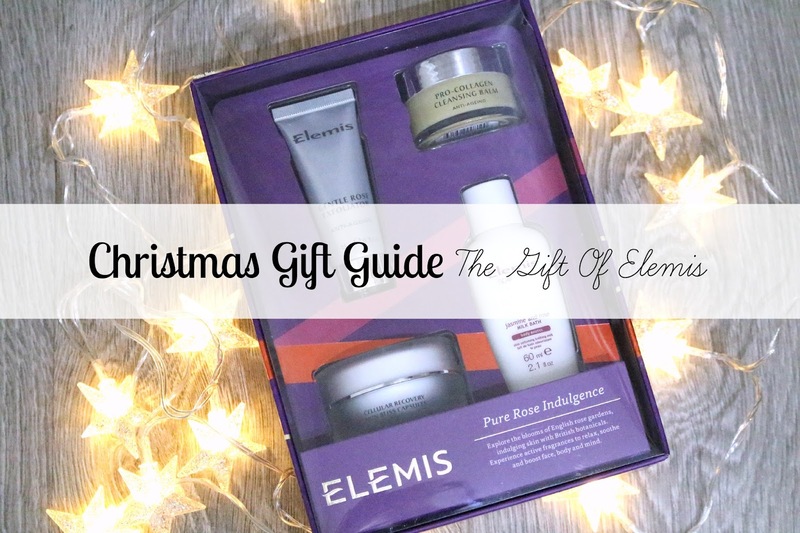 Elemis have created some incredible gift sets this year and I was recently sent one to review for you all. I love it so much that I could not resist featuring it in this years Christmas Gift Guides! 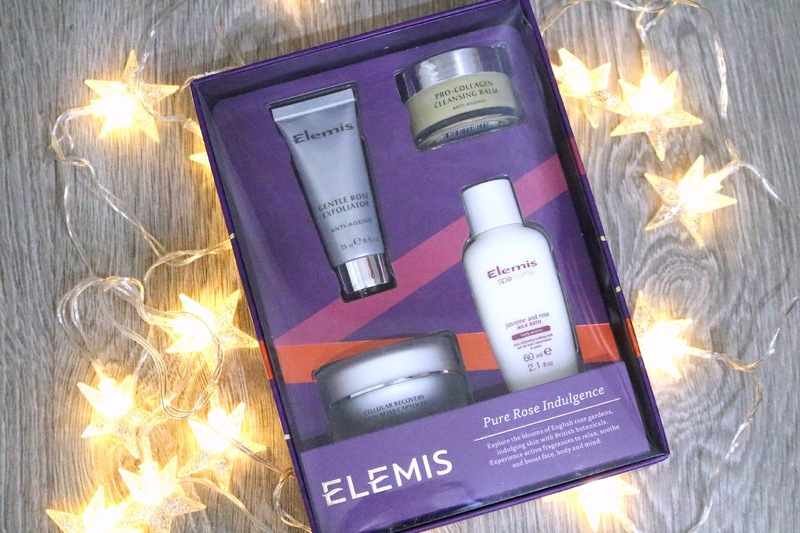 The Elemis Pure Rose Indulgence gift set from their Gift of Elemis collection houses four luxurious minis that would grants any beauty lovers wish! Elemis skin and bodycare gifts include many award-winning products and offer exceptional quality and value. 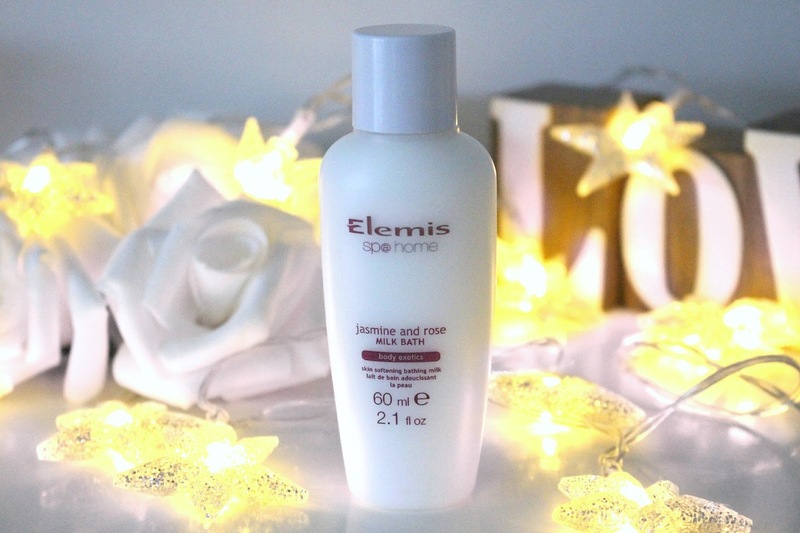 Ideal for travel or as an introduction to Elemis themselves. 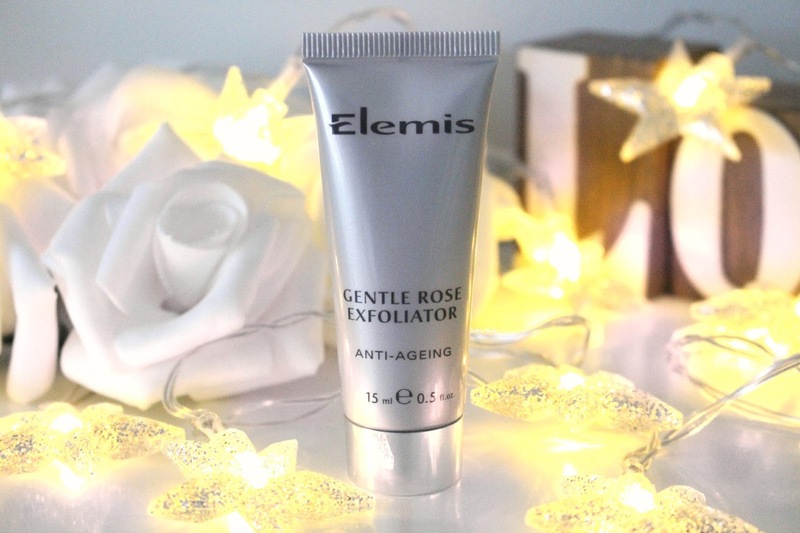 After being introduced to Elemis last year and having the opportunity to try out a range of their products I have to say they are a brand I love to use and really trust. They always use incredible ingredients that seem to react well to my skin and I am always intrigued to try more. 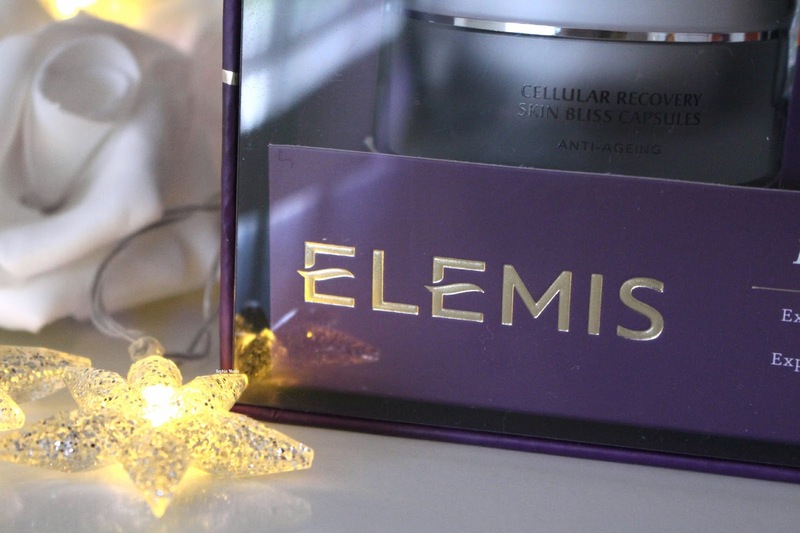 Elemis never seem to disappoint when it comes to their products and new release so I have full faith that their 2014 Christmas gift sets will be a total hit. With millions of satisfied spa-goers every year, Elemis is the market leader in luxury British spa and skincare. Since their formation in 1989, they have provided their clientele with multi-award winning skincare, and their wide product range is available in over 1000 locations around the world. True to it's name, you can explore the blooms of English rose gardens with the Pure Rose Indulgence gift set. Indulging skin with British botanicals, experience active fragrance to relax, soothe and boost face, body and mind. Whether you want to treat yourself or someone else in your life I think this gorgeous set could be the perfect gift this Christmas. You receive four mini samples of some of Elemis's coveted products in a super stylish box. I love how each mini sized product is perfect for travel but also how you get the chance to try out each product before committing yourself to purchasing the full sized versions. Just like it's name, the box houses products that include rose in the formulation and I love how such a simple thing can have such a great effect on this gift set. Hydrating Absolute of Moroccan Rose and smooth micro-spherical Jojoba beads very gently exfoliate, leaving skin silky soft to the touch. The formulation is bound with rich Vitamin C and cucumber based gel to help refresh the skin and give you that 'just left the spa' look and feeling. It is gentle enough to be used daily and is an ideal product for all complexions including the most sensitive. I know the rose scent is not for everyone but it is quite subtle. 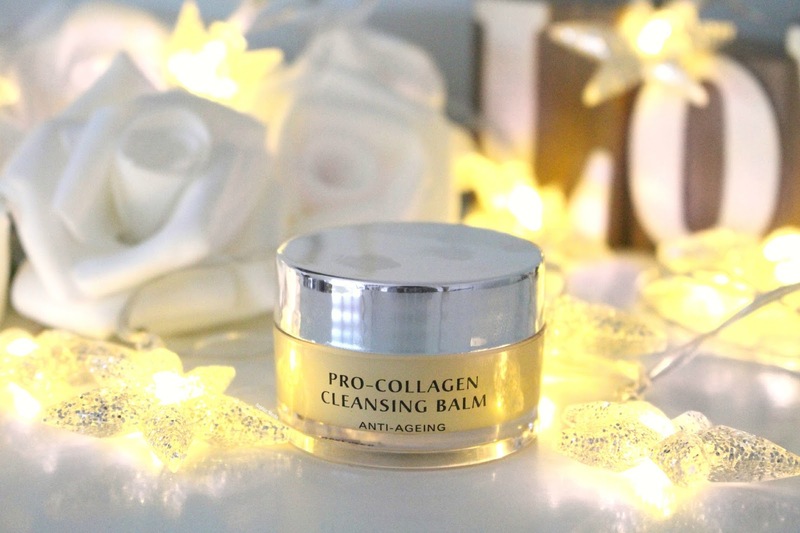 The Pro-Collagen Cleansing Balm is an award winning product that is suited for all skin types. This treatment cleansing balm dissolves makeup and daily grime. Developed first and foremost for its performance in Elemis treatments, this super-cleansing, luxurious treatment balm is expertly formulated with a 100% active base of natal oils grown within the UK. The formulation combines precious starflower, elderberry and optimega™ oils with rose and mimosa waxes, and anti-ageing padina pavonica to deep cleanse, nourish and smooth for a glowing complexion. I cannot wait to try this little beauty out properly and bring you a full review in the future. Elemis Cellular Recovery Skin Bliss Capsules contain pure Moringa Oil with it's unique anti-ageing properties to dramatically renew skin elasticity and skin youthfulness. Anti-Oxidants physically repair the visible signs of ageing and counteract the damaging effects of pollution by sweeping clean your network of skin cells, ridding it of harmful toxins. 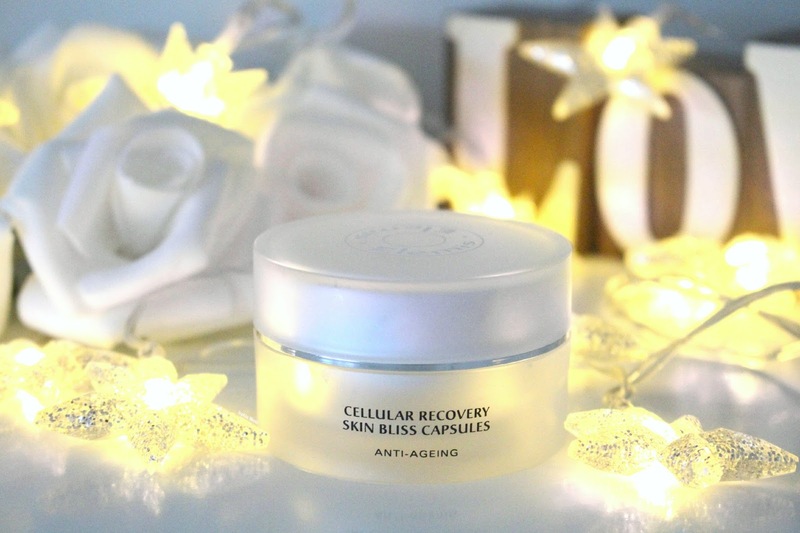 I have previously reviewed the Limited Edition Cellular Recovery Skin Bliss Capsules and I have to say they are such a gorgeous product and you can never start too early when it comes to using anti-ageing products. Within this set you receive a 14 day sample in a cute miniature pot. The Elemis Sp@Home Body Exotics range is about indulging in the most exquisite ingredients from around the world and restoring daily equilibrium. I have tried a few of the Sp@Home range products previously and they live up to their luxurious reputation. You can create your own spa ritual in the comfort of your own home with this NEW milk bath. Exquisite Jasmine and White Lotus Flower Milks soften and calm dry skin while nourishing Argan Oil and vitamin E improve moisture retention to leave skin feeling soft and smooth...sounds pretty perfect for the winter months! I hope you all enjoyed this post! If you were stuck for a Christmas gift I hope this post really helped. This Pure Rose Indulgence gift set would make the perfect gift for anyone in your life from your mum, grandmother, sister, girlfriend, friend...plus, it is so beautifully packaged you could simply place it in a Christmas gift bag or easily wrap it up with some pretty ribbon (the square shape makes it super easy to wrap). The products themselves are of fantastic quality and would be well suited to somebody who already has an interested in skincare or for a complete novice looking to explore and try something new. Lets face it Christmas in general is pretty expensive and I personally think this £29.00 gift set is pretty spectacular and for what you receive is great value for money as the RRP is £36.50. If you would like to pick one of these up or a different gift set from the Gift of Elemis collection you can head on over to Time To Spa who are currently offering free delivery and free gift with purchase. However, you can also purchase the gift sets from other retailers such as Look Fantastic, Feel Unique, Debenhams, John Lewis and more. I would love to know what yuu think about this gift set and who you would gift it to. Ahhhh love christmas gift guide posts, I might do some myself! Looks like a lovely gift set Elemis unfortunately reacts with my skin. 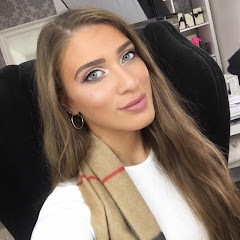 As a brand, Elemis has never really caught my attention, I don't feel that it has gone out of the way to make me feel as though I need to try some of their products like other brands. I really like Elemis Lavender Toner, this looks like a lovely set - would be the perfect pressie for my mum, she loves skincare!